New for Spring 2019, we are pleased to announce, we will be offering Alpaca Trekking. The walks offered will all be on farm, on a route the alpacas are familiar with and offering a safe and secure environment with no dogs etc. 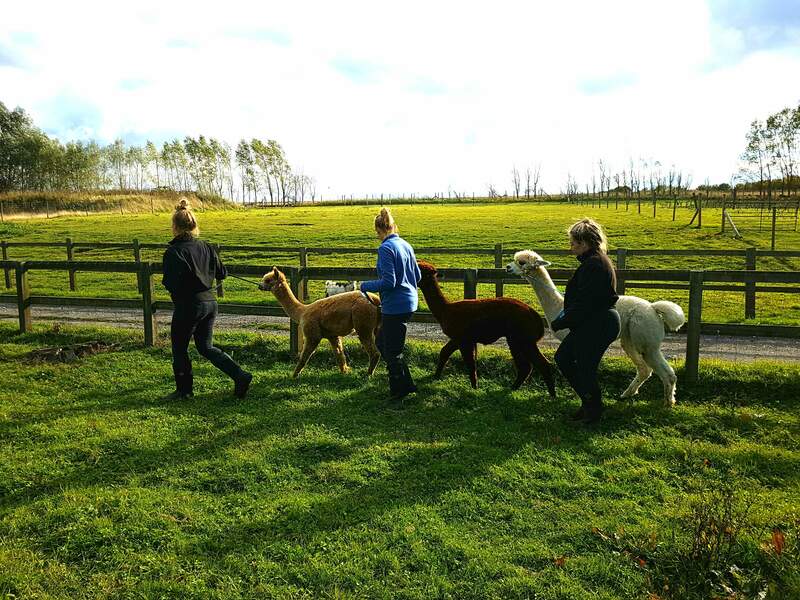 We have been training our alpacas to walk calmly on their leads and look forward to being able to offer this experience later in Spring 2019. Our alpaca trekking experiences, will also allow participants to meet all of the other animals on farm, and allow for plenty of photo opportunities.